From Thursday to Sunday. 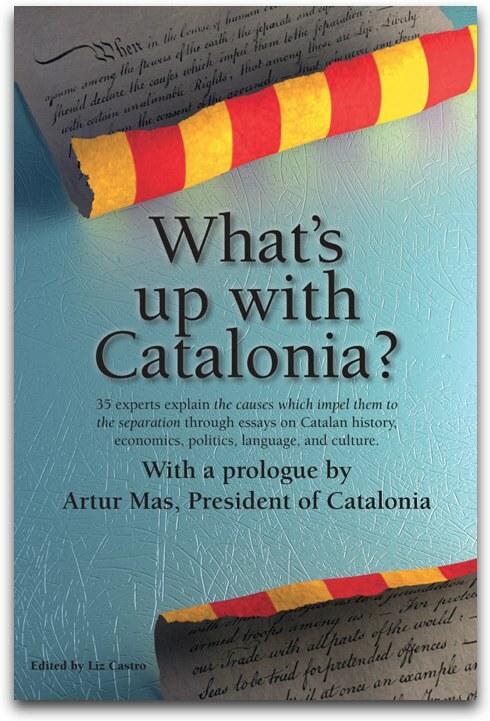 It's already been 4 days and you can still hear the clamor of the economic data, the clarifying explanations, the suggestive ideas, and why not say it?, the indignant evidence of the plundering of Catalonia and the (alas!) Catalan Countries. The presentation by the Cercle Català de Negocis (CCN) [Catalan Business Circle] gives us a lot to sink our teeth into. The first surprising thing is the absolute lack of any mention of identity. It was all figures and objective economic data and thus, as equally contested as it could be accepted. That shouldn't be surprising—it is the Catalan Business Circle, right?—but it turns out that they are in favor of an idea, independence, that in this country has only been discussed to date as a sort of folkloric and emotional pie in the sky. As Ireland and Finland, among others, have shown in this globalized world, countries prosper if they have a clear economic model to apply. A State, therefore, has the obligation of guaranteeing the resources for its own development. And that is exactly what is keeping Catalonia from becoming a developing country, because the foundation of the incompatibility between Spain and Catalonia is the economic model itself. Let's be clear: Catalonia has been good at taking advantage of certain values like work, effort, savings, entrepreneurial spirit, risk and innovation, all mixed together with a dash of creativity that has resulted not only in material but also cultural and artistic wealth. It's not peculiar then, that the country went through the industrial revolution at the proper time and forged an economic fabric—that continues to this day—woven from small and medium businesses. Can we say the same thing about Spain? Spain didn't even have an industrial revolution, has not benefited from the agrobusiness sector, doesn't know how to take advantage of the privileged geographic position that it occupies. Instead, it is currently looking to lead a great European bank—a strategy which is more monetary than entrepreneurial—and continues to congratulate itself on its past tied to Latin America, by attempting to be a service provider (of telecommunications, energy...). Spain is a country that makes misfortune out of virtue: in the corner of the world that it is, with all of the advantages that come from belonging to the Mediterranean, it's content to be nothing more than a sunny beach resort for retired folks. Why then, should we sacrifice ourselves to a model that doesn't satisfy our needs? The day that Catalonia becomes independent, the day that we can bet on favoring the strong points of our own economy, that day we will develop the model that we should and we will become a developing country. Catalonia is prepared to convert itself, taking advantage of the geostrategic position that it occupies, in the doorway to Europe from Asia and Africa. We will be able to develop a logistical sector that allows us to receive components from the Orient, transform them with a high added value, and send them on to the European Continent. It must be our goal to convert the Catalan business community into a world leader in the biotech, pharmaceutical and agrobusiness sectors, among others. And, then, in addition, we will be able to compete in the new market of cultural and high quality tourism. Can anyone doubt which of these two models will favor the Spanish State? Only if we are independent will we be able to develop ourselves. And it's starting to become urgent, because the current Spanish economic situation in Europe is deplorable, and Catalonia resents it. Businesses at home, that were already hurting, cannot support very many more years of the weight of a State that strangles its potential and refuses it any support. It's not the threat of a boycott that should worry us. In fact, the boycott of 2006 against Catalan Cava was barely felt, and in the end, the rise in exports finished off the whole exercise with a rise in sales. It's also not very likely that any of the large Spanish companies in the strategic sectors (telecommunications, energy, etc.) would be willing to forego Catalonia as a market. The real boycott is not against cava, it's that of a State that cruelly tries to squash the Catalan economy, that doesn't allow us to have a decent network of infrastructures, that gets in the way of our needs, that prioritizes Madrid as a center of communications, that keeps the Barcelona Airport from becoming the hub of the Mediterranean that it is destined to be, that trades—with Maragall's complicity—the high-speed train for an Olympic Games that, let us say again, chains us to fiscal deficit. With just the 22,000 million euros that Madrid steals from us every year, the country would rise to take the fourth position on the list of GDP in Europe. And that would only be the beginning. That said, the question has already shifted from "why are you an independentist?" to "why the hell aren't you an independentist?" P.S. This article was written collaboratively with Montserrat Badia i Capdevila, who scolded me for not adding to my earlier post the rich presentation of the CCN. Even though I haven't yet finished with this theme, I have to agree that two heads think better than one. The 28th of February has gone by, the second wave of referendums on independence with a slightly lower turnout, and the Spanish media—the media, not the State, which has decided to be symptomatically quiet—has come back again with their habitual litany of slights and sarcasm. "Emaciated" and "ridiculous" are the kindest adjectives that the turnout received in the headlines (!) They even dared to declare that the turnout had reached just 21%, "despite the fact that anyone over 16 and even registered immigrants could vote". As if the fact that making the census bigger would facilitate a bigger percentage, which of course, is always relative. It's obvious that allowing immigrants to participate must always bring with it a lower turnout by percentage, since their connection with the country is lower. But this is the level of discourse that the brunete* offers its disciples. What it seems that they don't get is that comparing the turnout of the referendums with any election promoted by the State and then boasting about data pre-cooked to their taste is nothing more than an exercise in self-delusion that can be very dangerous for those who practice it. And it is then that the Spanish spin differentiates itself slowly from the Catalan reality. A reality that is light years away from a supposed radical minority that throws bricks and burns dumpsters and pictures of a Borbon. In that sense, this documentary that we will premiere soon called “Vilafranca says YES” about the referendum on December 13 in Vilafranca del Penedès, shows the reality of a socially diverse independence movement that is nourished by the most prepared and involved members of society. That the Spanish spin resists looking at the reality in Catalonia without prejudice needn't worry us unduly, rather the reverse. Each time more Catalans will find the version of events that arrives from Spain so distorted and offensive that it will be hard not to end up embracing the sovereigntist path. I said, though, that the State has been quiet, because there are people there thinking, and a lot at that. And they see that in a series of referendums organized with not a few well-known problems, that one of every four Catalans still said yes, without reservations, to independence. Not even the most optimistic polls have given results like these in the past five years. And the movement is growing by leaps and bounds, because the people feel assailed by the Spanish spin. In Valencia, during the last 30 years, a saying has been going around that Eliseu Climent—as the principal representative in the media of Catalanism—made 100 blavers for every Catalanist that he converted, they call them "valencianistes", without blushing, despite the fact that they rarely speak in Valencian. And although it's a bit of an exaggeration, the refrain holds a grain of truth. Throughout the twentieth century, Catalan consciousness in Valencia Country has been rather meager. It was pretty easy for the Spanish to scare the people with the specter of Catalan imperialism. Many Valencians—or "valencianos"—felt assailed, in the same way that Catalans now feel attacked by Spanish spin. All things considered though, the difference is that in the Valencian case the supposed aggressors were in the right and in the case of the Catalans, it is the other way around. It's for that reason that I always like to remember an article by Joan Francesc Mira—even though I don't know where I found it—where he detailed one of the realities that most affirm the "everything's fine" attitude of the valencianos: 60% of Valencians consider Valencian and Catalan to be different languages. And Mira had another piece of data: 100 years ago, except for a few intellectuals, almost all Valencians lacked a consciousness of linguistic unity. In fact, they had never even thought about the problem. Despite the lack of resources and political power a century later, concludes Mira, he would be more worried about Valencian nationalism if he was a blaver*. Reason wins out in the end, sooner or later. In Catalonia right about now, we're counting on reason, and with the natural reaction of one who feels attacked. And the State is quite worried. In Spain, though, the common folk, and the media that feeds them, act like they don't get it, or that they don't want to get it. It's easier to hunker down in their prejudices. We shouldn't be worried. The fall will be worse. We're doing fine. The spokesperson for Esquerra in Parliament, Anna Simó, denied the declarations of some opposing parties that "this does not trivialize self-determination, just the contrary. We believe that the exercise of democracy is not trivial and the desire of the people to participate politically that has been demonstrated by the referendums is not either." "Achieving a state of its own for Catalonia"
The approved text states: "On December 13, 2009, 166 municipalities of Catalonia were host to the celebration of popular referendums, organized by local civic organizations, in which citizens of these communities were asked their opinion on the constitution of Catalonia as an independent, democratic, social state, integrated into the European Union. "These activities, in accord with the existing rules, were able to achieve a resounding effect and high turnout, given the fact that out of 700,000 people called to participate, close to 200,000 actually did. This is an important result given the non-offical nature of these referendums, the fact that they were organized by grassroots, civic organizations and not by the government, and their non-binding status. "In addition, the fact that participation was open to youths between 16 and 18 years of age and to people who did not have the right to vote in other electoral contests shows the will of incorporating all of the citizenry in a civic, democratic, and inclusive process. "The wide participation and majority vote in favor of independence among the participants shows that a growing part of Catalan society desires the constitution of an independent state for Catalonia. Additionally, these referendums that have been organized by the grassroots are a remarkable exercise in civic participation and demonstrate a profound interest in the questions that affect all of our citizenry. "This process should encourage our public institutions to reflect on the future of our national liberties, the reach of democracy, and the participation of our citizens in public affairs." 1. The Parliament of Catalonia confirms once more the validity of Resolution 98/III, on the right to self-determination of the Catalan Nation, adopted on 12 December 1989, as well as Resolution 679/V, adopted on 1 October 1998, which ratified the previous one. 2. The Parliament of Catalonia declares its recognition of the referendums celebrated on 13 December 2009 and 28 February 2010 in more than 250 municipalities as an expression of the will of the citizenry to participate politically in the configuration of the future of Catalonia and in the reaffirmation of its national reality, and is grateful for the work of volunteers in those municipalities in which referendums have been organized and to all those who participated. 3. The Parliament of Catalonia encourages the grassroots organizations, the local officials and the individual citizens in the municipalities which will hold referendums on April 25 and June 20 of 2010 to work together so that they can again count on the sizable participation of the people. 4. The Parliament of Catalonia supports the will of using all of the judicial and political tools available in order that the people of Catalonia may exercise their right to decide. The first point also received a favorable vote from Iniciativa and an abstention from PSC.